I first posted about Bishop in July and since then, I’ve been following their work. Somehow though, this slipped under my radar. 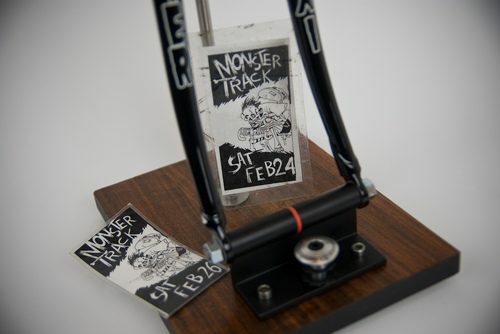 Charm City-based Bishop Cycles has been busy working on this fork for Monster Track XI this year. This project looks legit as hell! Check out more photos of the fork here, at the Bishop Flickr. Thanks for the heads up Tracko!